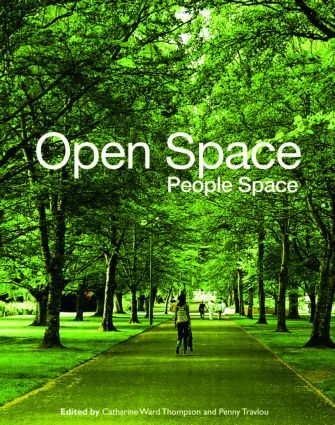 Highly visual and containing contributions from leading names in landscape, architecture and design, this volume provides a rare insight into people’s engagement with the outdoor environment; looking at the ways in which the design of spaces and places meets people’s needs and desires in the twenty-first century. Embracing issues of social inclusion, recreation, and environmental quality, the editors explore innovative ways to develop an understanding of how the landscape, urban or rural, can contribute to health and quality of life. innovative research approaches which focus on people’s access to open space and the implications of that experience. Invaluable to policy makers, researchers, urban designers, landscape architects, planners, managers and students, it is also essential reading for those working in child development, health care and community development. Catharine Ward Thompson is Research Professor of Landscape Architecture at Edinburgh College of Art. She is Director of OPENspace based at Edinburgh College of Art and Heriot-Watt University. Her award-winning research on historic urban parks and contemporary needs has led to projects exploring children’s and young people’s landscapes, the importance of outdoor access for older people and salutogenic environments for all. Penny Travlou is Research Fellow at OPENspace and Lecturer in Cultural Geography and Visual Culture at the Centre for Visual and Cultural Studies at Edinburgh College of Art. Her work includes, among other themes, research on young people’s perceptions and use of public open space in Edinburgh, supported by the Carnegie Trust and the British Academy, as well as broader explorations of young people’s engagement with outdoor places. Watch a recording of the live webinar from March 2015 where Catharine Ward Thompson discusses how landscape design can improve health.